Prime Minister Manmohan Singh's US visit has been quite eventful, and not just in foreign policy terms, what with the Crown Prince on another of his occasional and typically disastrous forays into the family business. But beyond the comedy . . . In addition to his summit meeting with President Obama, the PM also tried yet again to make peace with Pakistan. This effort was accompanied by the usual outrage New Delhi television studios, though no one who opposed the meeting could say what was to be gained by not talking to Pakistan. 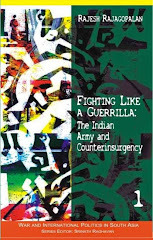 My point was always that India should talk to Pakistan but that it should also be prepared to use force to retaliate punitively whenever the Pakistan army decided to use force against India either directly or thorough its terrorist proxies (I had posted an earlier Economic Times essay here). Prime Minister Manmohan Singh's visit to Washington was not expected to yield anything dramatic. As the PM himself put it, "overall" he was there to thank US President Barack Obama "for all that he has done to strengthen, widen and deepen" US-India relations. Indian officials also made it clear that this was primarily a "review" summit, underlining that they had no significant agenda or expectations. That said, over the last few months, the two governments have managed to at least staunch the bleeding in the relationship. India's efforts to find a way around the nuclear liability law has borne some fruit with at least a pre-agreement deal being signed between the US company Westinghouse, which wants to supply nuclear power reactors to India, and the Nuclear Power Corporation of India. 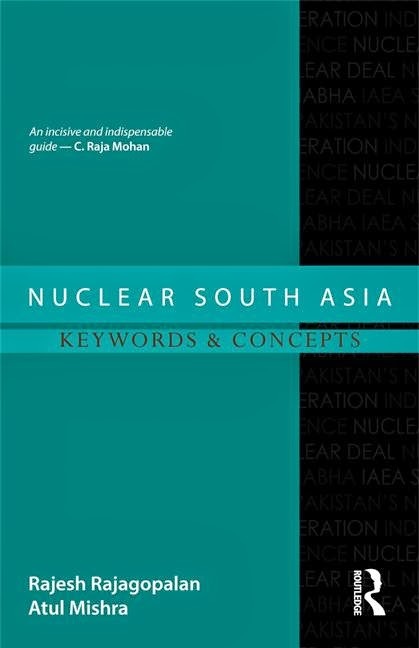 It is another matter that this was the consequence of an entirely unnecessary and self-inflicted wound by New Delhi in the form of the Nuclear Liability Act, which put in question much of the benefits of the hard-won US-India nuclear deal. Though the liability law is often seen as an obstacle in US-Indian relationship, what is often obscured is that it is a serious impediment to vendors from France and Russia and even India's domestic suppliers. The NPCIL-Westinghouse pre-agreement does not resolve some of the key issues on the nuclear liability law and there will be hard battles ahead for India on this but it at least sets the ball rolling on US-India civil nuclear cooperation. India and the US also reiterated their common interest in the peaceful future of Afghanistan, though it is not clear that either Washington or New Delhi will have much say in it. The Taliban's growing strength is a concern for both, but Washington no longer has the political will or domestic support to expend more effort there and Indian policy seems to be based more on hoping for the best than planning for the worst. That these minor issues and advances have to be enumerated in such a manner says a lot about the state of the relationship. Such accounting is the anti-thesis of the type of strategic relationship that India and the US had sought to build just a few years back. Such a relationship would have been based on common strategic perceptions rather than on the nitty-gritty of trade laws or particular contracts. Both New Delhi and to a lesser degree Washington have lost the strategic vision on which this relationship needs to be based. The key to this relationship is the common interest that both New Delhi and Washington have in ensuring that an increasingly powerful and assertive China does not dominate Asia. This does not mean that New Delhi and Washington should seek to contain China, which is not within anyone's capacity. What it means is that New Delhi and Washington develop a deeper strategic understanding and empathy for their concerns in this regard. Unfortunately, the current strategic ideology in both capitals militates against such an understanding. Despite the "Asian pivot", Obama's liberal worldview is based on the hope that international politics needs to be based less on power politics than on economic interdependence and multilateralism, which is also the prevailing strategic common sense in India. Therefore, the greatest challenge that US-India relations face is something that not even a successful summit can fix, let alone one that looked more to the past than to the future.